To state one thing directly: The Japanese know a lot about whisky! That may surprise some people who are not familiar with the matter but is absolutely and undeniably true. Although they have learned the craft of producing high-quality single malt whiskys in Scotland, they did not just copy it but tried to perfect this art – Japanese are very often obsessed by perfecting things even in the tiniest detail. And they’re doing this by the way not only since yesterday, but since 1923. The Yamazaki distillery is certainly the oldest and most famous of the Japanese whisky distilleries and is operated by the Japanese beverage company Suntory. The name Suntory might trigger some associations in your mind if you have seen the excellent movie “Lost in Translation”. The movie features an homage to the famous commercials of the Suntory company that have been shown mostly in Japanese TV since the 1960s. I will write something more on this in the future, when I’m going to publish an article about the Hibiki Whisky (you will then find a link here). The distillery is located at the foot of the mountain Tennō in the Japanese prefecture of Osaka, close to the old imperial city of Kyoto (the region and especially the old imperial city are absolutely beautiful and definitely worth a visit). 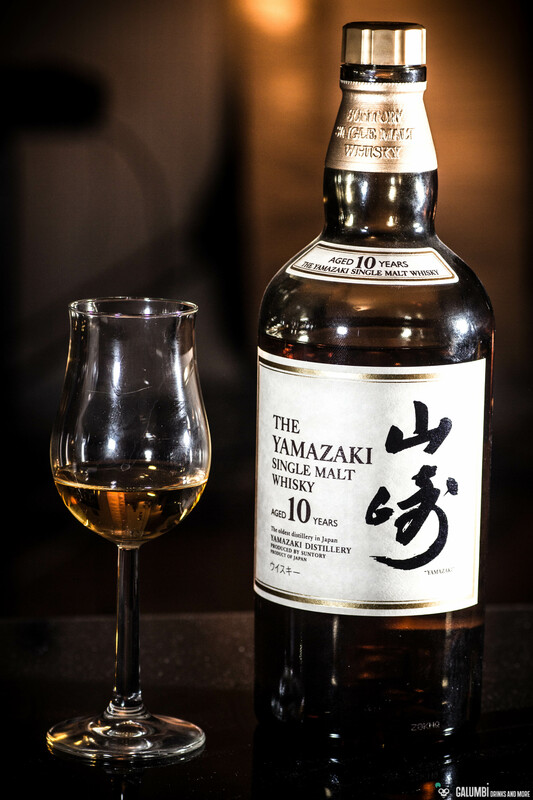 The renowned whisky expert Jim Murray crowned a whisky of Yamazaki as “the world’s best whisky” in 2014. Unfortunately it was not the Yamazaki 10 but nonetheless it is a superb spirit, at least if you’re looking for a real fruit bomb. Yes, you read correctly, the 10-year-old Yamazaki is a fruit bomb (at least in the nose, see below), which one might expect, at best, under Scottish single malts from the Speyside region. The aging in Japanese oak barrels gives the matured distillate also a truly unique touch! The 10-year-old Yamazaki is unfortunately no longer available in the future and you will probably only be able to buy it as a residual item, if you’re lucky. It was replaced by the Yamazaki Distiller’s Reserve which has no statement of age on the label.